"Jennifer was amazing to work with both in a professional and personal sense! As a planner, I always want everything to be just right and when picking out the details for my own wedding it was the smoothest process. There were no hickups with deliveries and the items were just what we wanted for our big day! While working on a styled shoot together I actually got to spend a whole day with Jennifer and she is one talented and creative lady! For one of our clients weddings she went above and beyond from setting up twinkle lights to styling the various vignettes at The Burroughes Building. She picked up on their vision and ran with it! I will continue to recommend to friends, family and clients alike!" "We would recommend Tufts & Toile in a heartbeat!" "Our day would not have been so gorgeous without the help of Tufts & Toile who exceeded our expectations (again!) by respecting our wish for a simple and modest approach to decor and still knocking it out of the park with beautiful accents. Jennifer is the easiest gal to work with and a true creative spirit! Thank you for being a part of our day. We would recommend Tufts & Toile in a heartbeat!" "Jennifer and her team made my day so special! Thank you so much! Working with her was a pleasure. She took all of the ideas I had in my head and made them real and beautiful! I will definitely recommend Tufts & Toile to anyone planning a wedding or any event. Jennifer has a great eye and amazing attention to detail. All the best to Tufts & Toile going forward, and with the new little one! xo"
"She transformed the barn at Balls Falls into a space that reflected us as a couple beautifully." "Jennifer helped to make our vision for our wedding day come together in a way that was even better than we could have ever dreamed. She transformed the barn at Balls Falls into a space that reflected us as a couple so beautifully. 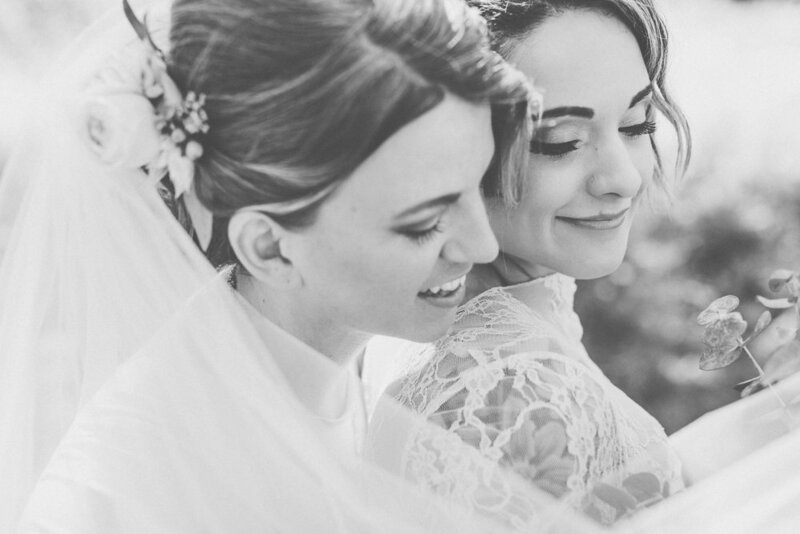 From the first time we met she helped us with recommendations for our wedding day, helped us define our vision and was relaxed and so easy to work with, which put us completely at ease. She helped to make our wedding day a day we will not soon forget and we are beyond grateful for everything Jennifer and her husband Andrew did to pull off the wedding of our dreams. We would highly recommend Tufts & Toile's services to anyone who is looking for help with their wedding day, or any other special event. Thank you again for everything!" "Jennifer was great to work with. I have a type A personality so it's scary to pass over your vision for the day of your wedding. It felt great to know that someone like Jennifer was in charge. The Balls Falls Big Barn looked amazing, even more beautiful than my original vision. Thanks to Jennifer and her team for making my dream wedding come true!" "It was an absolute delight working with Jennifer on our spring wedding at Berkeley Fieldhouse in Toronto. Jennifer was able to take all of our ideas and used her creative talents to design an absolutely stunning wedding, both indoors and out! From the lace back drop to the linens, rustic sweets and welcome tables, to the staged photo booth, it was perfect. Jennifer also collaborated with our florist, balloon and linen suppliers to ensure that everything fit together seamlessly within our theme. I highly recommend Jennifer for your event and hope to work with her again in the future!" "Jennifer was a breeze to work with and executed my vision absolutely perfectly, better than what I could have hoped for! She is so talented and has an eye for beautiful styling. I am getting so many compliments on how amazing our wedding decor was and I couldn't be happier that I hired Tufts & Toile for our big day. We had a rustic/vintage theme for our wedding in the Gambrel Barn and Jennifer absolutely nailed the entire look and feel. Highly, highly recommend!!!!" 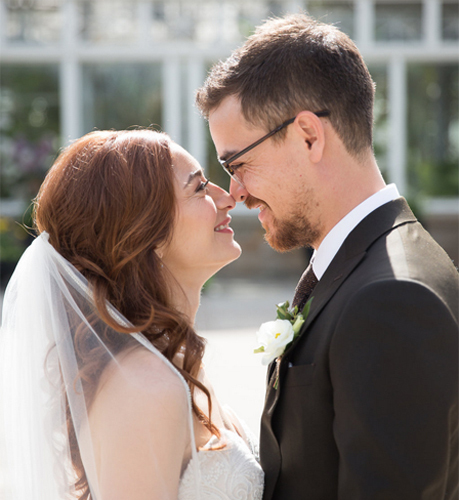 "Jennifer at Tufts & Toile came highly recommended and we're so glad we connected with her to make our wedding day dreams come true! Her selection of rentals are charming and unique, and the way she combines them really shows her passion for what she does. We couldn't have executed our wedding day without here, and we were so grateful for her totally-on-board inclination. Our wedding day dream was a bit complicated to pull together, but she showed us no fear :) And on the day of the decor and set up was just incredibly breathtaking! We recommend Tufts & Toile if you're looking to make an impact on your wedding day, Jennifer will make all the difference!" "Jennifer was the stylist at our wedding at the Cambridge Slit Barn. We had a great experience working with here and her team. She is flexible, detail oriented and reliable. Most importantly, she has amazing taste! She took care of all the details related to setting up the event, and left us free to relax and enjoy the day. We received so many compliments on the decor. I highly recommend her services!" I would absolutely Tufts & Toile as the decor partner for any event or wedding in the future. Jennifer & her team were a pleasure to work with and responded to all our inquiries with detail and in a timely fashion. They were real pros and would make a great addition to any vendor list!" "I actually started to cry when I walked into the barn. Saying thank you doesn't feel like enough. But thank you for making everything look like a dream!"